Though Kotter mentions only about Americans, I feel this statement is true for all managers in the entire world. We need to know how to manage powers by a) knowing what the powers are? & b) how to use them appropriately in the corporate world. You have been promoted as a manager in your organization, what powers do you think you will have by default? Generally, an individual has two types of powers upon becoming a manager – the legitimate power of the position and the expert power that led to their appointment (this may not be true in some cases :-)). Also, manager gets reward power and coercive (punishing) power which generally accompanies legitimate power. Thus, managers may have four of the five powers by default. Though they are two different words with different meanings, one leads to the other & they are intertwined. Power is defined as the ability to exert influence over others while authority is the foundation on which that power is built. But power does not necessarily imply a commonly accepted authority to exert influence over others. A person’s power depends to a considerable extent on how the person is perceived by others. In other words, power and authority come from the person being influenced – not the person in the more powerful position. If the follower chooses to not follow them, they are no longer leaders. 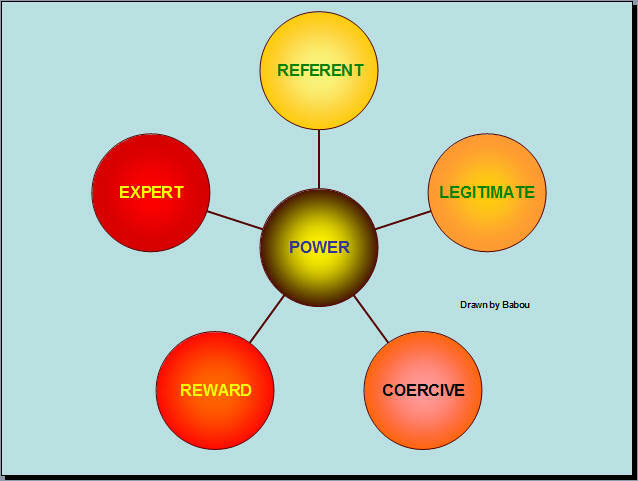 The power and influence theories explain leadership effectiveness in terms of the amount and type of power that leader possesses and how he or she exercises power. Undoubtedly, among the most popular and widely accepted concepts of social/organizational power is the five-fold typology developed by French and Raven in 1959. He also discussed about the sixth type of power – informational influence/power, which was not classified as one of the primary bases of power. Hence it is omitted in studies about the bases of power. * How to use this power? Finally, anyone knows about connectional power? Though connectional power is not dealt under the bases of power, I think giving a brief idea about it at this place would be appropriate. 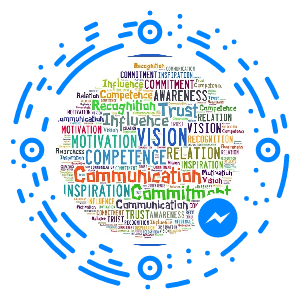 Connectional power is a variation of referent power, which reflects the influence that leaders possess as a result of whom they know and the support they engender from others as a result. This entry was posted in Leadership and tagged Bases of Power, Leadership, Leadership Power, Managing Power. Bookmark the permalink. very nice and concise resource. Detailed nicely and easy to understand. I feel I understand much better the French & Raven typology of power.